In coming years I wrote more poems. 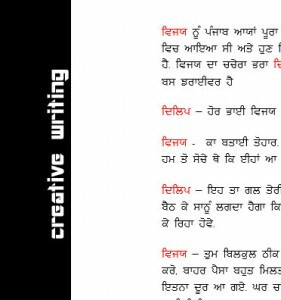 I also wrote a few plays in Punjabi, two of which won awards in school competitions. I have also written a few short stories in English. In 2000 I worked as a journalist in the ‘Indian Express’, one of India’s leading English language newspapers. I published news reports on various topics including science and technology.